Vehicle Deal Jackets are used in nearly every automotive dealer finance office. Deal jackets hold all the important car deal forms - such as: sales contracts, required DMV paperwork, customer credit information and other car deal paperwork that must be kept for ten years by law. Deal Jackets help keep your salesman organized and insure that the each deal goes smoothly and concludes successfully by including a pre-printed check-list of all necessary paperwork and information needed to make the car deal legal. You can also order custom deal jackets if the stock design doesn't fit your needs. Vehicle Deal Jackets - standard pre-printed style for vehicle deal paperwork at great pricing. Available in Buff, Blue, Red, Pink, Green, White, Lavender, Salmon, Fuchsia, Gray and Yellow colors. Great value on custom file jackets. We'll help you design a file folder jacket that meets your exact needs. COMPARE OUR PRICE to Great American Automotive Products. THEY'RE MORE EXPENSIVE … American's Price is 500 @ $360.00 (#BFA1220C) … for their custom file jackets. This 3-in-1 Vehicle Deal Jacket is a classic design used for years by thousands of small to mid-size automotive dealerships. A very popular Deal Jacket, it allows you to 1) add the vehicle to inventory 2) document reconditioning costs 3) and keep track of all billing information included in the final sales cost. These Heavy Duty Vehicle Deal Jackets are very durable and can handle almost any amount of paperwork. Available in seven colors with your choice of printed or blank stock. 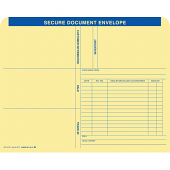 Used Car Vehicle Record Envelopes are perfect for keeping your used car inventory organized. Designed for helping your dealership stay organize and maintaining records of your used vehicle inventory, these envelopes includes such things as space to record transaction details, vehicle and trade-in information, and a history of reconditioning and repairs. They are durable printed on 100# buff stock. This is a newer version of the detailed 3 in 1 Deal Envelope. We offer them in printed or plain. 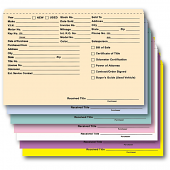 These Custom Color Top Dealer Record Envelopes can be tailored to meet your specific needs. We can help you design your own or match any existing deal jacket. These high-quality Deal Jackets are compatible with the Reynolds and Reynolds Company filing systems and the Jeter filing systems. COMPARE OUR PRICE to Great American Automotive Products. THEY'RE MORE EXPENSIVE … American's Price is 500 @ $295.00 (item # SAF1221). Designed for use by specialty equipment dealerships such as motorcycle, boat, snowmobile and RV dealers - these Inventory Control Deal Jacket envelopes will help your business run more smoothly by keeping all the important inventory details and sales documents in one folder. They are sold pre-printed with such things as unit cost, trade-in, unit delivery checklist and sold-to information. These Ultra Heavy Duty Deal Jackets - 150# stock are the most popular and thickest deal jackets used in the industry. They are available in blank/plain (on both sides) or printed and available in Buff, White, Blue, Green and Yellow. We sell these Tab File Folders for dealerships who prefer to use standard open side file folders instead of file folder jackets. Many dealerships use these as Vehicle Deal File Folders. But unlike our standard deal file jackets, these are open on all three sides. 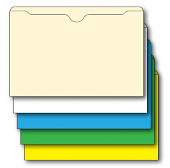 Each box of folders contains 3 alternating tabs on the left, center and right making them easy to read when filed. This ERA* Deal Envelope (Deal Jacket) is compatible with the Reynolds & Reynolds Automotive Software System. They are 100# Buff Stock and prints on the tall side of the jacket.